Developing the right approach to your market requires the experience of seasoned professionals who can apply their skills to your project. Click the topic of interest from the lists below. Developing the right approach to your market requires the experience of seasoned professionals who have confronted similar opportunities and expectations. The examples below provide a wide range of real solutions to special circumstances. Increased profitability 350% in four years on revenue growth of 290%. The company had expanded into too many markets too quickly. Focusing on the major markets and clarifying the target markets, we prioritized the expansion of the business to markets with the greatest opportunity and concentrated on existing markets rather than entering new ones. Increased revenue from Latin America by 35% in year one and additional 50% in year two, leading to first-time profitability. By identifying clients who were violating copyright of our intellectual property, re-organizing the support structure and expanding distribution channels in our major markets, sales increased in Brazil, Mexico, Argentina and Chile providing the strong foundation for additional expansion in the region. Drove sales in Japan from $250K to $1.5M in year one. Focusing on understanding the market and target customers, we created communications channels between key clients and distributors using a modified American approach to gently overcome cultural barriers. Sometimes American techniques become a neutral alternative when local alternatives compete with one another. Learning more about the end-users instilled more confidence in local producers and distributors to take additional risks. Negotiated special one-time terms with distributors to stock and promote new products. Analyzed information gathered and developed projections for future product sales. Presented sales proposals to distributors, obtaining pre-orders based on estimates, instituted one-time minimal return policies and established incentives for selling more than targeted volumes. Increased Case Worker referrals 35% and Telesensory revenue from referrals by 50%. The number of leads generated from Inside Sales group was very low. Most products required face to face demonstrations to identify the clients’ capabilities and visual acuity level before an appropriate product was purchased. Identified key resource agencies for vision impaired clients and established close relationships with case workers in each agency. Participated in job fairs and equipment expositions for prospective clients that were organized by case workers. Followed up on referrals within 24 hours and usually conducted demonstrations within 72 hours of referral. Established good relationships with employers IBM, Wells Fargo Bank, Goodwill Industries and Social Security Administration. Developed bundled Telesensory marketing program using inexpensive application software, driving sales of high margin hardware, increasing hardware sales 40% in 6 months. Access products for vision impaired people depended on “reading” files in an electronic format. A product Telesensory had developed was the world’s first Optical Character Recognition System designed to work with other access technologies so a blind person could perform the OCR without sighted assistance. Tested Braille displays, synthetic speech and Braille embossers with the OCR product at each stage of development. Created specs for user interface determining what functions were necessary with each type of access. Developed product documentation and consistent nomenclature for adding features, increasing Telesensory text-to-speech product revenue 50% and reducing cost of goods across entire speech product line 20%. Previous Product Manager had assembled specialized products and created custom environments for speech products without documenting for manufacturing, resulting in no way for company to invoice products and wasting Product Manager’s time assembling special kits for which we received no marginal revenue. Learned all speech products in less than three months. Structured the three basic products, creating “assemblies” that were common between products. Submitted Engineering Change Orders (ECO’s) to reconstruct kitting process of basic products. Developed consistent nomenclature to easily add options. With options now documented and scheduled in manufacturing process, clients could be billed. Created sales documentation for field sales reps to easily understand full range of products and options. Revamped product development process and expanded vendor/distribution network, reducing time to market up to 50% and incorporating international division into product development process. Worked with Purchasing and Product Development to write and distribute RFP for bids on international product offerings. Developed time line for approvals and publishing deadlines. Distributed RFP to 100+ prospective firms. Conducted required information session for interested parties and managed selection process. Submitted finalists to management for approval and contract negotiations. Completely revamped product development process and switched vendors for German, Spanish and Portuguese products. Expanded distribution network and instituted pricing incentives for distributors. Created world’s first PC-based OCR product for vision impaired people that was compatible with speech, Braille and large print, enabling use without sighted assistance. OCR technology was just being perfected and off-the-shelf products were released for use with PC’s, but were not compatible for blind people to use. As newly promoted OCR Product Manager, worked with blind colleagues at Telesensory and key clients to define needs for print recognition. Defined limitations of current off-the-shelf products. Licensed OCR technology and hardware from OCR company. Worked with in-house engineer to develop product specs and test user interface. Spearheaded production of international translations in 40% less time than previous editions, with no complaints on terminology/lexicon. Conceived of linguistic focus group to analyze past products and identify unacceptable translations. Goal was to develop a standard lexicon for translators to use in order to create a single Spanish edition for worldwide use. Consulted with major volunteers in Spain, Mexico, US, Central and South America to identify recognized experts who had published both in English and Spanish. Selected 12 experts and submitted resumes to the volunteer oversight committee for international affairs. Convened Spanish Consensus Committee in Puerto Rico with representatives from Latin America, Spain, Puerto Rico, US, the publisher, the product manager, and lead translators. Reviewed translation lexicon of previous works and discussed inconsistencies and changes that would be acceptable in all regions. Only end-of-year sales reports had been available for international sales analysis. Worked with new Finance Manager responsible for department records to design necessary periodic reports. Instituted processes and procedures to gather information from all relevant sources. Established consistent reporting schedule of international sales. Enabled us to track sales and trends much more efficiently, and identify problem areas more quickly. Created regional reports, allowing International Sales Reps to track monthly/annual sales and verify special promotional effectiveness at Telesensory. Generic sales reports from IT did not satisfy international sales team’s needs because it did not contain data by product, customer type or country. IT manager did not have time to develop and manipulate sales reports for each market and no one else, at the time, was allowed to create reports from the mainframe. Earned IT manager's respect and learned how to extract and run reports for international department. Gained high security access to mainframe and developed/consolidated reports for four major regions. Developed processes/database/forms that cut sales processing time in half for Telesensory’s International Sales. All sales orders were hand written and pricing schedules varied by product, distributor, country, quantity with exceptions having to be approved. 30% of orders were returned from Order Processing for mistakes and pricing verification. PC’s and off-the-shelf database software just being introduced in the office. Acquired database application (DataEase®, dBase IV® compatible). Developed database of products, prices, discounts, distributors, countries, etc. Created standardized order form. Customized screen reading software to read the database application screens to assist our vision impaired Sales Rep. Conceived and implemented International Working Group, creating allies and instilling globalization to save millions in product development. Unlike other business units, company had no committee oversight for international business, relying on technical volunteers with little business or international experience. Conceived and received approval to form an International Working Group (medical experts and volunteers) with oversight of international training program consistent with other standing committees responsible for oversight in other areas. Created plan and presented to superiors, receiving approval from four levels above. Consulted current volunteers, sales personnel, and clients for nominees. Selected 12 members from technical sub-specialties, and members with experience in Asia, Europe and South America. Developed innovative curriculum to offset NATO bombing of Chinese, gaining respect of teachers and students and sharing valuable lesson in value of freedom of speech and separating fact from supposition. In 1999, NATO planes had bombed the Chinese embassy in Belgrade, Yugoslavia. Chinese government organized mass demonstrations of students from schools in and around Beijing to protest in front of NATO countries’ embassies in Beijing over the weekend. Lived in Beijing and was teaching at a Chinese university. On returning to class the following Monday, observed dramatic changes in neighbors' reactions to me while walking to class and realized a different plan would be needed for the day. 80% of the students had participated in protests. I quickly decided to discuss bombing in an open, organized, objective manor. Classified all comments in four categories: facts according to NATO, facts according to Chinese, speculation according to NATO, speculation according to Chinese. After an hour of open discussion, split class in half to debate issues. One side was assigned NATO positions while the other side was assigned Chinese positions. Ensured the best students were equally divided so they would lead classmates in process of presenting situation from two different perspectives. Conducted all classes in same manner the rest of the week - five more times with 300 students. How do you define "experience"? It seems to me, what you learn in school and the innate abilities you possess are tools that you apply to circumstances you encounter in business and in life. But the decisions you make and the actions you take define your experience. Please review a few of the areas of experience. Working for a subsidiary of Colgate Palmolive® early in my career gave me a taste of solid structure and procedures that should be the foundation of any company. Medasonics® business model was based on proprietary expertise in Doppler ultrasound technology developing products to analyze blood flow in peripheral arteries and veins. The primary evaluation required a technician to listen to the representation of blood flow but we later developed a sophisticated spectrum analyzer using Fast Fourier Transform (FFT) processes to produce a visual representation of the complexity of the blood flow through narrowed blood vessels. We also developed strategies to sell the technology to other ultrasound companies as an OEM product greatly increasing the gross margin since we could manufacture many more units and lower our costs. Many devices have been developed to assist people with disabilities not only in mobility but in access to information that computers present in visual formats. For blind and low vision individuals, the vast opportunities of the internet would be unreachable without synthetic speech, refreshable Braille, and large print devices. For more than 13 years we developed unique user interface techniques to extract vital information and focused on customizing it for important features of application software and browsers to allow a vision impaired person the capability to compete with sighted colleagues at the same level. For any organization to succeed in its mission, it must generate revenue. Not-for-profit organizations generally have large departments to generate donations and raise funds, but some actually "sell" services or license intellectual property. Whenever a non-profit can rely on its own expertise and generate revenue from that expertise, the likelihood of the organization's survival increases. If the only avenue for revenue generation is fund-raising, the organization becomes more susceptible to fluctuations in the economy and the generosity of donors. Arts organizations in particular produce CD's and DVD's and from their sales can generate revenue. Customers not only feel a sense of goodwill that they are contributing to a worthy cause, but receive a tangible benefit. An example of a successful non-profit chorus is the Turtle Creek Chorale based in Dallas, Texas, which has recorded more albums (see sidebar for a selection) than any other all-male chorus in the world. Some non-profit organizations rely on licensing their unique intellectual property if their infrastructure can't support extensive sales departments. The American Heart Association sponsors scientific research to study the causes and treatments for cardiovascular disease including stroke. The subscriptions to the journals which they sell, generate licensing revenue from the publisher. Another major contributing factor to the success of most non-profit organizations is the phenomenal amount of work contributed by unpaid volunteers. Recruiting, training and encouraging volunteers to support the organization are vital to the long term health. Few non-profit organizations succeed without cooperative volunteers who believe in the mission and donate hundreds or thousands of hours of their time and expertise. Most of us at some time in our careers find opportunities to teach and mentor colleagues and subordinates. Passing on the knowledge we acquire to the next generation is essential to an organization's survival. Besides conducting sales training and product training our experience includes selling training and support materials. The process of training can be very profitable if you possess unique intellectual property and can sell proprietary materials. Finally, it was a very unique experience to teach business majors at the university level in China. Teaching American concepts of the rule of law and critical thinking were truly foreign ideas. Even the interaction between professors and students differed by a wide degree. As much as American students are encouraged to question and comment on the ideas presented in class, Chinese students were expected to believe every word presented by the instructor. Many western universities and educational companies have set up overseas campuses so the Chinese are learning how we think and teach. It has been a privilege to work in some very diverse fields of endeavor with the opportunity to gain business acumen that can be applied to similar circumstances. Here are a few of the skills Mullins Imagination offers you. Learning a foreign language goes beyond translation. It enables a non-native speaker to understand a different culture, different values and completely different perspectives on life and business. Attending school and living in Europe contributed to my fluency in German (Deutsch) and Spanish (español) that we can utilize to your advantage. Although most people consider Canada an English-speaking country, one quarter of the population speaks French (français) as their native language, so I learned French. Working with many Canadian companies, in French, enabled me to communicate very effectively with French-speaking clients who were uncomfortable with English. Prior to moving in China for two years, I learned Mandarin Chinese (中文) so I could work better with colleagues who knew no English. It is an essential skill that is crucial to understanding one of the fastest growing economies in the world. Determining the size of the target market is essential to determining whether to focus on the needs of a very unique customer group or the whole world. Of course there are options in between as well. Forecasting sales in each market (whether national, linguistic, geographic or cultural) is essential to determine whether localization can achieve a high enough ROI for the necessary process and infrastructure investment. If not, then perhaps choose specific markets for extraordinary attention, in the early stages, and a parallel line of products that may work in a variety of smaller markets. In some industries, such as pharmaceuticals, food processing, and medical equipment, local laws mandate labeling in local languages and any necessary safety adaptations to work with the local electrical power source. It will also be necessary to agree on a common message where the products may not be sold. In 2012, Mr. Mullins completed a Localization Project Management training program sponsored by the Localization Institute, based on the standards of the Project Management Institute. The training covered the full range of topics related to professional project management as well as including case studies and examples of difficulties and complexities of localization, such as preparing products and websites for localization with a concerted internationalization process, also, choosing and communicating with the LSP (Localization Service Provider) who coordinates the various translation projects. The rigorous certification program is offered about once a year. The days of print advertising in a newspaper or magazine seem to be disappearing rapidly. 20 years ago communicating by fax was revolutionary because people could send the image of signatures on contracts around the world in milliseconds. Today, social networking is changing the face of marketing and how we all promote our products. Have you joined Facebook®, LinkedIn®, MySpace®, or Twitter®? The generation of students in college now spend more time communicating via text on their cell phones and through social networks than they spend watching television. Companies that ignore these new avenues to promote their brand and introduce themselves to the younger generation not only do so at their peril but are missing incredible opportunities to capture loyal customers early in their lives. The latest count is 58 countries and 528 cities where we've conducted face to face meetings and negotiations with clients. In addition, sales to another 100 countries round out the experience through exporting products from the United States. However, unlike selling across the street, when you sell to another country there are many other aspects to the consider. Since many of the issues you need to review can be found on prior pages, we won't repeat them here. Click here to go back and review them again. Whether designing a user interface for a computer application or a control device for a medical instrument, you have to understand the needs of your market and develop a design that fulfills those needs. The information about the market on which a design is based must be shared with anyone involved so that everyone adopts common goals. I have worked with engineering, manufacturing, purchasing, finance, sales and marketing and have the experience to coordinate and plan a product launch of any type. In addition to developing three websites, we've collaborated on the localization and globalization of the website of every employer in our 25 years of experience. Your website may likely be the first form of contact you have with potential customers so you need to define them well and present them with a positive experience. Check out our newest website, Mullins International. Let us help you manage the allocation of resources, the timing of promotional events, the definition of your target market and the forecasting of eventual sales. Whether chairing a product development committee or researching the characteristics of new markets, we have the expertise you need. Click here to download a copy of Mr. Mullins' résumé. For an additional on-line, visual presentation of the Mr. Mullins' workproduct, view http://www.careerhosting.com/charlesmullins. For a print copy of the Accomplishments / Experience and Skills outlined above, click here. Mr. Mullins also belongs to the community of professionals on LinkedIn. Mullins Imagination collects no personal information from visitors. However, there are links on the site for third parties which may request your personal data. Mullins Imagination has no access to that data and no control over the use of the information you may provide. Therefore, use of the courtesy links on this site constitutes agreement by the visitor to hold Mullins Imagination harmless from any damages related to utilization of the links to third parties. Thank you for visiting Mullins Imagination. If you have any questions, please feel free to contact us. Mullins Imagination was developed using Adobe Dreamweaver CS3, CS4 and CS5.5. Galleries were created and photo archives are maintained using Adobe Lightroom 4.3. Compatibility testing of the HTML code is conducted with Internet Explorer 9.0.12 on Windows 7 andFirefox 18.0.2, as well as Chrome, Firefox and Safari 5.1 on the Apple iOX 10.7 platform. 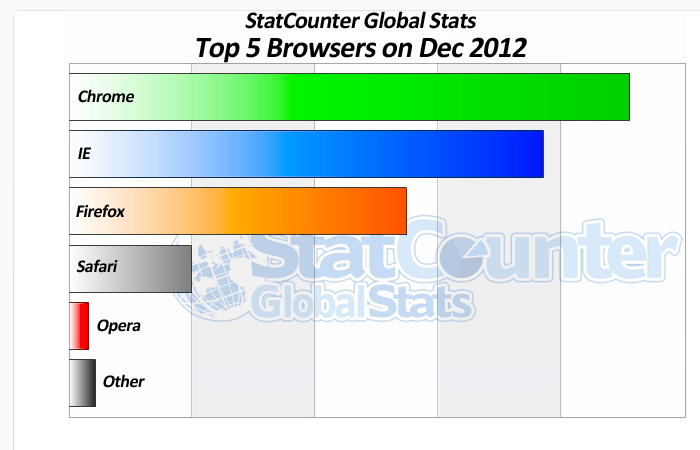 The bar chart to the right represents the percentage of users worldwide who use the various browsers. 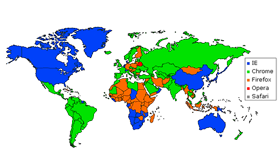 As of the end of December 2012, marketshare of all Microsoft Internet Explorer versions had decreased more than 50% from 67.8% of the world browser market to just 30.7%. 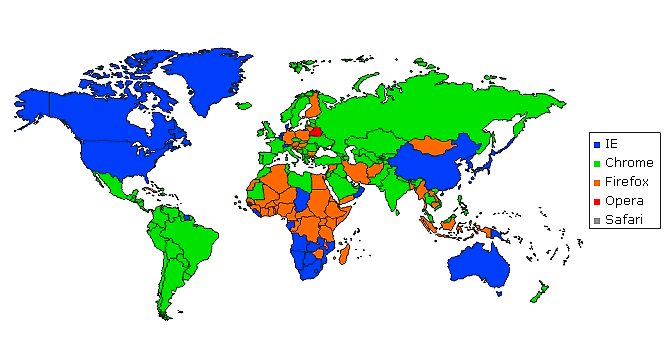 Google's Chrome has taken over as the most used browser worldwide with 36.4% marketshare. 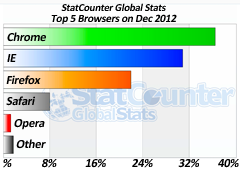 Worldwide, Firefox has increased slightly from 21% to 21.9% and Safari remained steady at 7.9% from 8%. (1)StatCounter, http://www.gs.statcounter.com/, as of February 2013. The current image on this page was modified from the original available on StatCounter. Purchase a full or upgrade version of Adobe Photoshop Lightroom 3, along with a full or upgrade version of Photoshop CS5.5, Photoshop CS5.5 Extended, or Creative Suite® containing Photoshop CS5.5 or Photoshop CS5.5 Extended. Click the photo above for more details.